At Fairport Baptist Homes today, we’ve created a uniquely vibrant senior living community. A loving, caring guardian for our residents. Providing excellent health care in each household. Serving as a nurturing extension of family, where the quality of life is just as important as the quality of care. Providing resident-directed care, both here, and in the greater community. 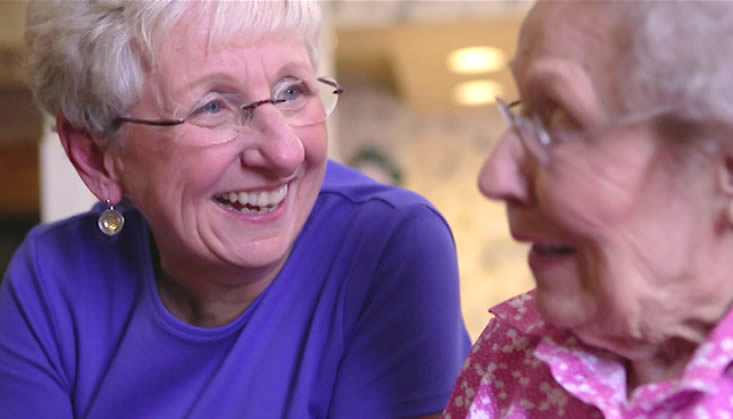 Fairport Baptist Homes has created a culture providing exceptional resident-directed care, whether in our senior care community or in the greater community. This ongoing transformation is based on person-directed values that restore control to seniors and those who work closest with them. The first principle of this reform model is strikingly simple, yet powerful: “Residents First.” In Fairport Baptist Homes’ “household model,” residents are given back responsibility for many of the decisions that affect their daily lives. It’s how we’re able to deliver what families expect today—that our community is a loving, caring guardian for their seniors, providing excellent health care in a our households, serving as a nurturing extension of the family, where the quality of life is just as important as the quality of care. In 1999, Fairport Baptist Homes completed a campus-wide renovation bringing this culture change to life. And today, we are renovating our “households” once again, bringing our residents new kitchens and other amenities.